New laws that came into effect yesterday will see Latvian ISPs begin blocking 'pirate' sites that provide TV streams without a license. The blocking will be carried out extrajudicially on the orders of the National Electronic Media Council and will see unauthorized sites blocked for an initial period of six months. Consumers wishing to access TV content are spoilt for choice these days. Masses of content is available via antennas, satellite dishes, cable, and – of course – the Internet. The explosion of the latter has provided huge growth in access to legitimate platforms but alongside there are many thousands of unauthorized services, each looking to take a share of the massive pirate audience. With no clear answer to stemming this consumption, many countries are turning to web-blocking, utilizing local ISPs as somewhat porous barriers to pirate content. The latest country to take this course of action is Latvia, which introduced new laws on January 1, 2019, in an effort to reduce unauthorized consumption. Sites and services that rebroadcast “audiovisual programs” in the country without an appropriate license now face blocking by local ISPs. While the process will be carried out extrajudicially, it will be largely similar to regimes in other countries that practice blocking to counter infringement. The National Electronic Media Council, which will administer the blocks, will first send out cease-and-desist notices to sites and services that are retransmitting TV and similar content without permission. They will be given 15 days to stop their activities or face their sites being placed on a national blacklist which will be actioned by local Internet service providers. According to an investigation by Delfi, the state will be picking up the bill for administering the blockades, spending more than 333,000 euros in 2019 and around 280,000 euros each in 2020 and 2021. Most of the money will be spent on the salaries of 10 new officials with the remainder being spent on other aspects of the regime including new software for monitoring the activities of ‘pirate’ sites. The names and domains of all blocked sites will be published on a government website and will remain on the national blocklist for six months. It appears the authorities are preparing for the inevitable game of whac-a-mole by looking for new branches of similar services and quickly sending notifications for them to shut down. 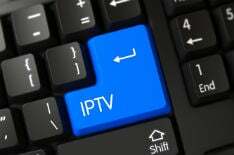 The news that Latvia will crack down on ‘pirate’ TV streams comes after Ukraine-based set-top box manufacturer Infomir said it will do what it can to prevent infringement. Meanwhile, in the UK, a second High Court injunction has been granted in an effort to prevent Internet users from accessing illegal boxing streams. Obtained by Queensbury Promotions, the home of the legendary promoter and manager Frank Warren, it will remain in effect until 2020.